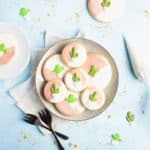 With summer just around the corner, I decided it was time to add another cutout cookie flavor to my repertoire… Something a little more summery than pumpkin spice or chocolate mint (not that I’m not knocking those flavors since they are pretty delicious!). And with the local grocery store expanding it’s available extracts (YAY!! ), it seemed like the perfect time to try something new. I just so happened to find a raspberry extract while perusing the baking isle, and I immediately thought of raspberry lemonade. 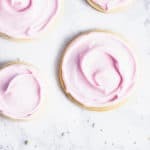 Mmmm raspberry lemonade… And that got me to thinking, “If I have raspberry extract, why can’t I make raspberry lemonade cutout cookies?” The answer: I can… and I did! 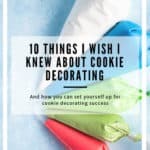 Like most cutout cookies, these cookies will need about an hour in the refrigerator to firm up, so keep that in mind when planning your cookie making time. In a large bowl, start by creaming your butter until it’s smooth and lump-free. Add your granulated sugar and mix until it’s well incorporated into the butter. Be sure to scrape down the sides of the bowl with a spatula as you go! Add your egg, and mix until a paste forms. Now it’s time to add your lemon zest and raspberry extract! I wanted a bolder raspberry lemon flavor for these cookies, so I added 1 1/2 tbsp. 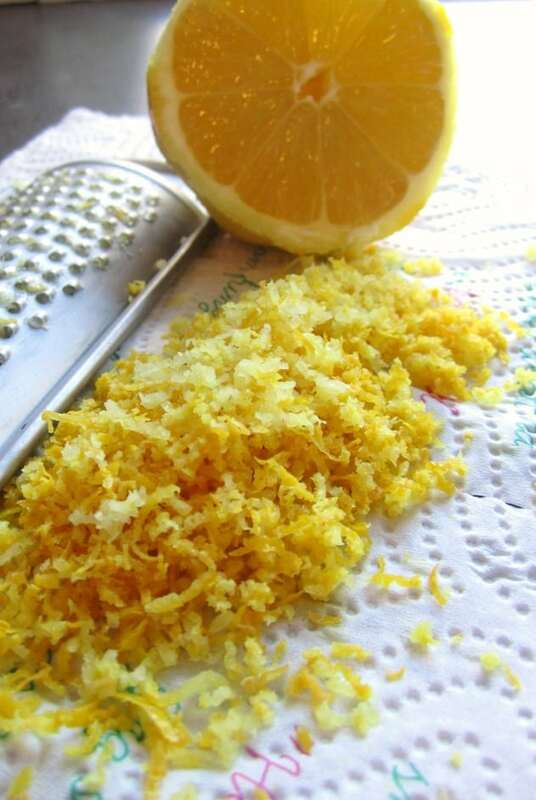 lemon zest and 1 1/2 tsp. raspberry extract. If you want something a little subtler, I would recommend cutting the measurements down to 1 tbsp. and 1 tsp. respectively. Add your flour and mix until just combined and no longer sticky. Flatten your dough onto plastic wrap (flattening it helps it chill faster and more evenly), wrap it up nice and tight, and refrigerate for about an hour, or until firm. Roll it out only a lightly floured surface, cut out your cookies, and bake them at 350* Fahrenheit (175* Celsius) for 7-10 minutes (depending on the size) or until no longer shiny on top. Let cool completely before icing or decorating. I love the sound of these!! What a fresh, sweet flavor. I think raspberries are the perfect fruit. 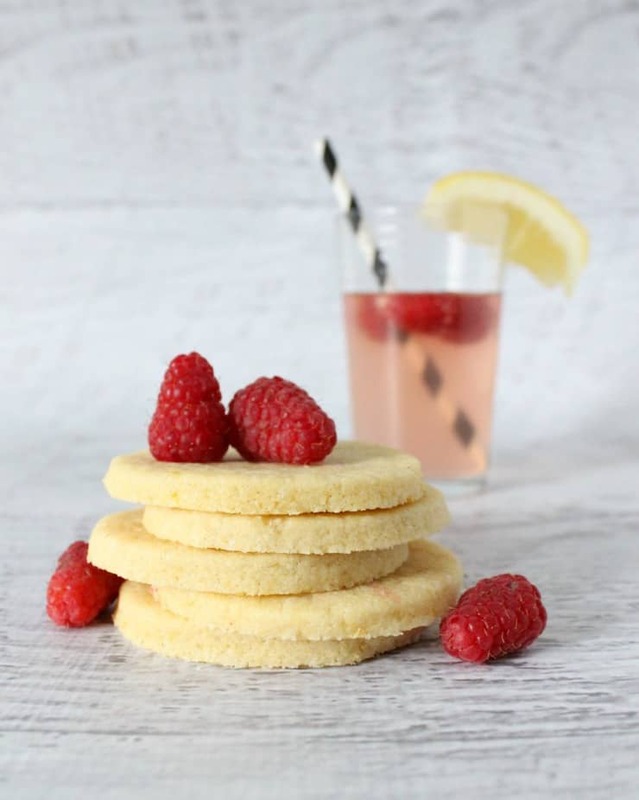 I love raspberry lemonade and I love cookies. These would probably be my favorite cookies ever. I’d be thrilled if you’d link up at this week’s Off the Hook! These look soo yummy And they are pretty too. Thanks for sharing. Found at the wined down wed. linky. Have a great week. 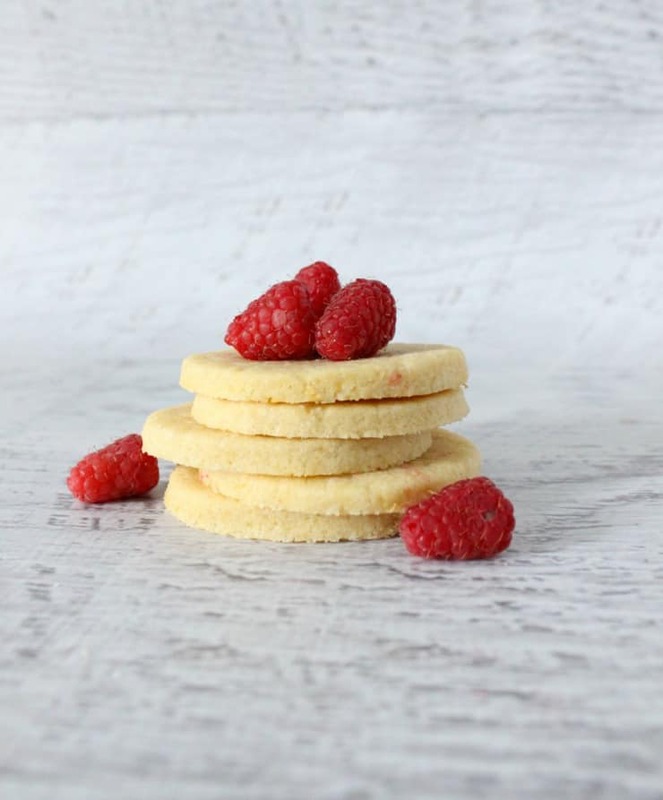 Love raspberry and lemon together, such a refreshing combination! These cookies look so delish 🙂 Thanks so much for linking up tonight at Wine’d Down Wednesday! 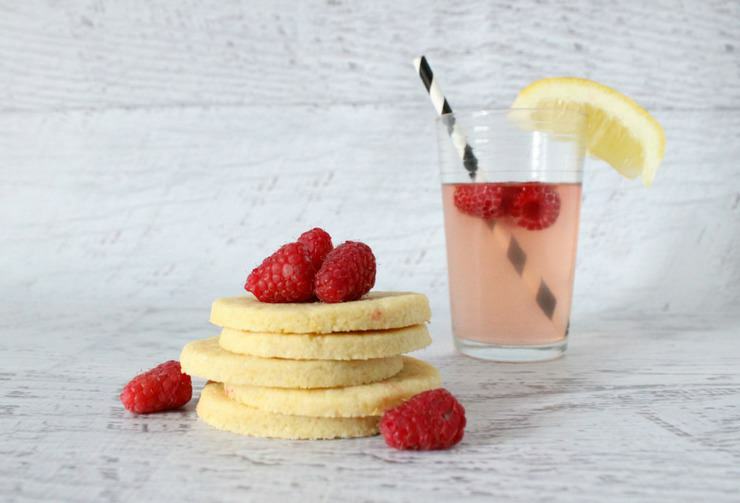 These look and sound delicious – love the pairing of lemon and raspberry! Your photography is gorgeous! 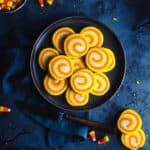 these look so very yummy-and gorgeous photo! Yum! These sound perfect for summer. I hope I can find the raspberry extract in our local store as I can think of plenty of things I would like to do with it. Thanks for sharing on The Wednesday Roundup. Pinning for later.